Alpenglow Expeditions isn’t just about #RapidAscent climbs of Mt Everest, we have options for all experience levels, including first time climbers or those who need to brush off their skill set. In June we have two climbing school offerings in South America. 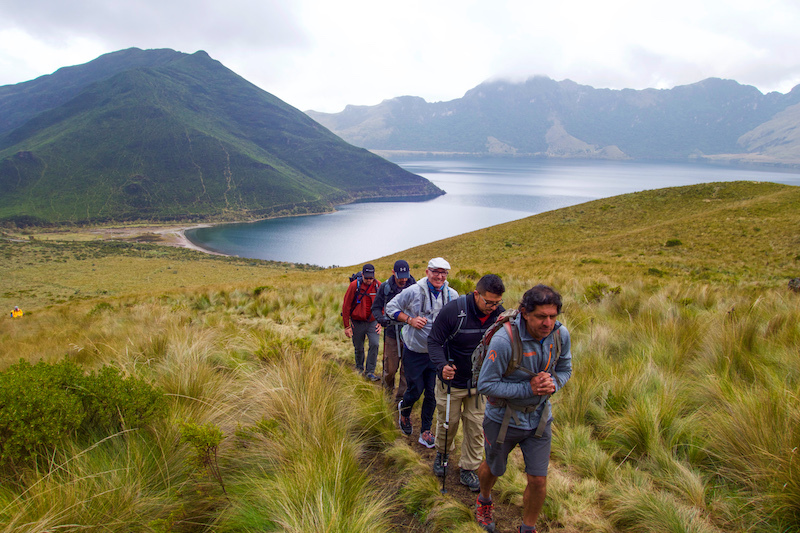 Our Peru Climbing School is May 31- June 14 and our next available Ecuador Climbing School is June 3- June 11, with an optional extension until June 18 to climb an additional two peaks. 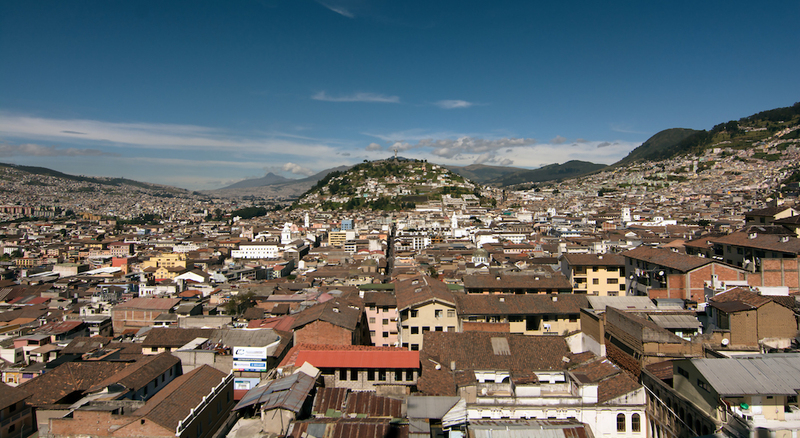 We are looking forward to our first Ecuador Climbing School of the year. Our early spring Ecuador program is sold out, the next availability we have is April 15- 23 or June 3- 11, 2017. 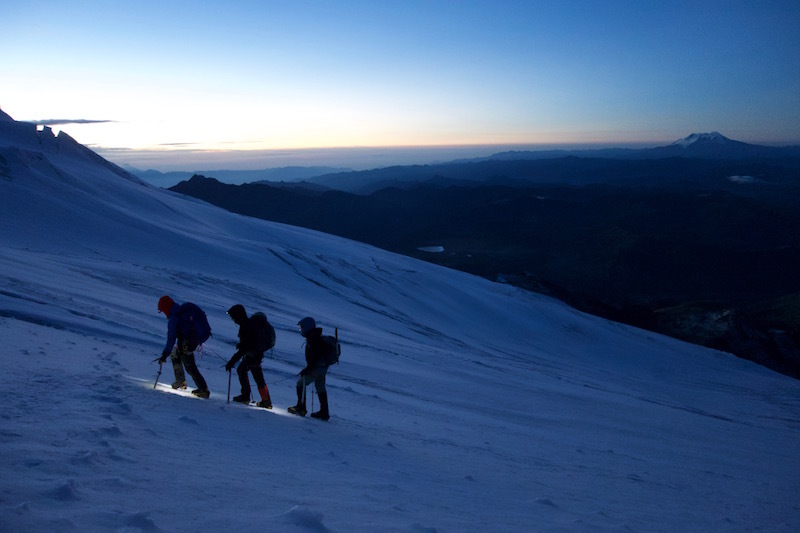 On this expedition the climbers learn all of the skills it takes to summit a glaciated volcano such as Cayambe, the third highest peak in Ecuador. 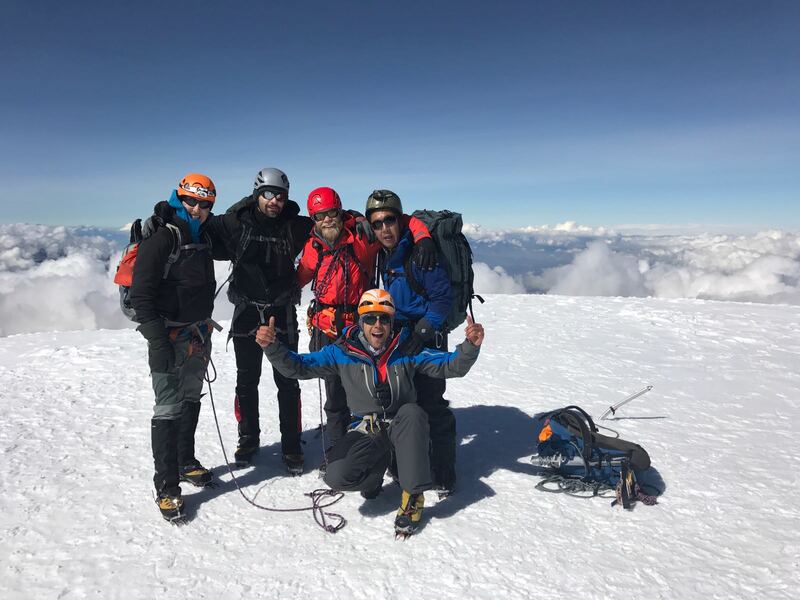 Successful Cayambe Summit! “On Friday we left the Refugio at midnight and made our way up the mountain. We had almost every sort of weather- frigid temps, wind, snow, hot sun, white out and perfect clear skies. We topped out at 9:30am, and had 360 views in all directions. 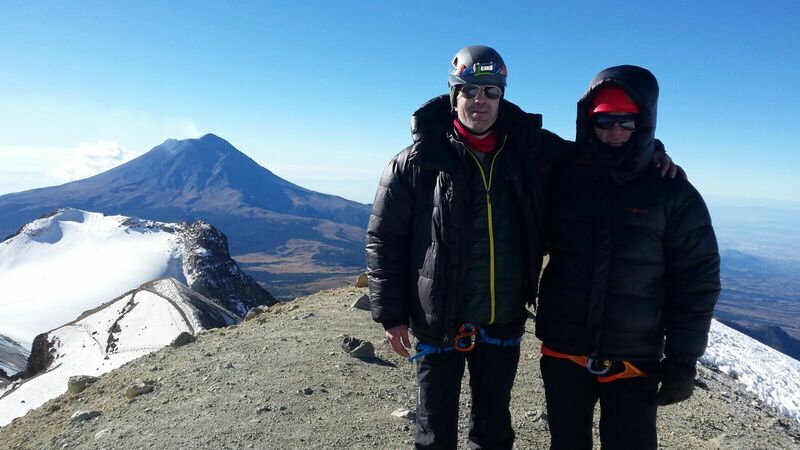 Perfect, amazing summit (18,996′ / 5790m). Nine minutes later we couldn’t see ten feet!” Pictured here are Tom, Eli, lead guide Logan, lead guide Topo and Matt. Alpenglow Expeditions currently has three international expeditions taking place. We have one Rapid Ascent expedition on Aconcagua near Mendoza, Argentina (14 days), and also two climbing schools, one in Mexico (9 days) and one in Ecuador (9 days + optional extension). As a climber, it is very motiving to meet people who are always dreaming big, people who never stop the pursuit for something that will take them to see new horizons in their lives. 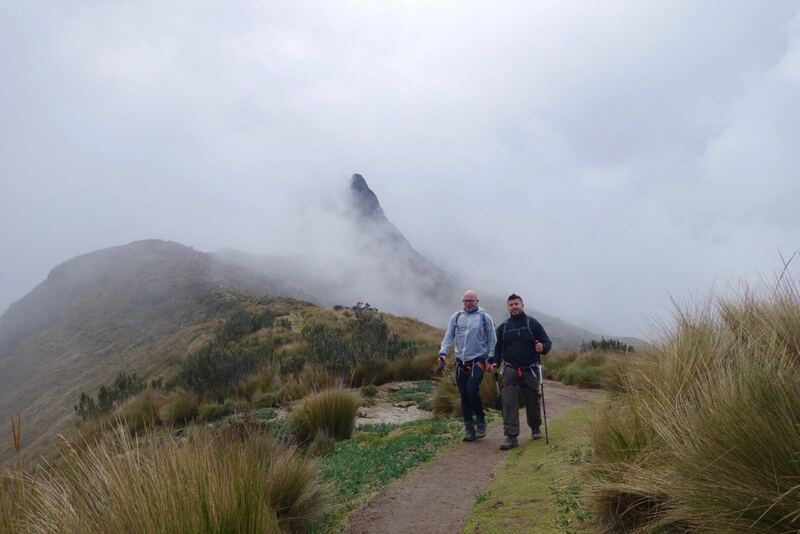 Climbing in Ecuador isn’t just an awesome way to climb some of the most accessible 5,000 and 6,000 meter peaks in the world, it’s also a great adventure discovering a country full of culture, great food and breathtaking landscapes. 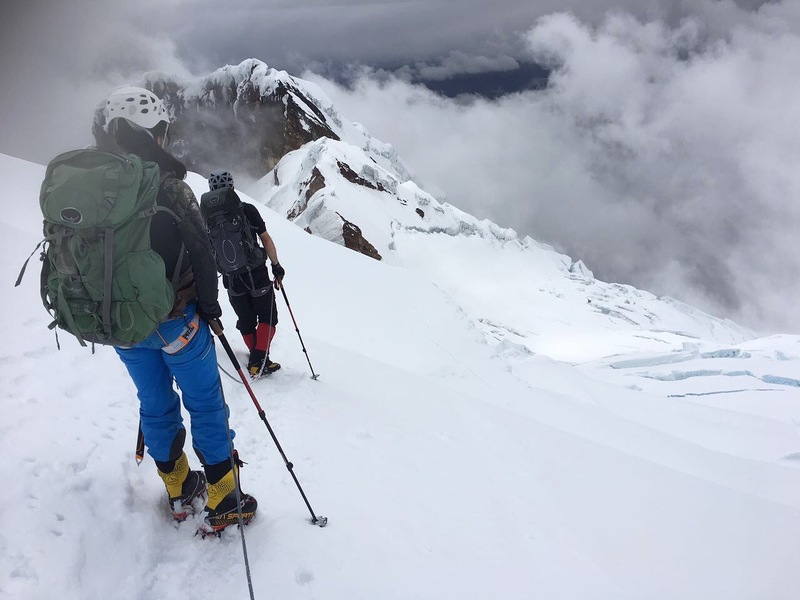 Alpenglow has seen two expeditions head to Ecuador this November with the first team exiting the country late last week and a new one arriving on Sunday. While Cotopaxi (19,347 ft / 5,897 m) is in the middle of an eruption cycle spewing ash and smoke out of its crater we’ve made slight changes to our itineraries and have enjoyed putting our skills to the test on the nearby Cayambe (18,996 ft / 5790 m).